Although Utah offers no more than 30 accounting schools, one of these is ranked as 3rd in the country at the undergraduate level and 2nd at the master’s level in the Public Accounting Report 2013 survey of accounting professors. The prestigious program is offered by the Marriott School of Management at Brigham Young University and is recognized nationwide for its intensive curriculum and for the high student satisfaction rates. Another two Utah universities, the University of Utah and Utah State University, made the PAR survey ranking on 22nd and 34th place respectively. While the range of options in Utah is moderately sized, the quality of accounting programs offers plenty of possibilities for an ambitious accounting student. A career in accounting requires a mixture of technical competence and hands-on experience. It is not an easy path, and so the choice you make at the beginning of your studies can strongly influence your success as an accountant, especially if you intend to become a Certified Public Accountant (CPA). The ideal accounting program should be AACBS-accredited and should be highly rated in terms of teaching, assessment and career opportunities. If you intend to sit for the CPA exam, you should ask to see the most recent CPA exam pass rates of program graduates. It is also useful to look at students’ evaluations of the teachers and the coursework. In order to make sure the university will offer you a head-start on your career, take a look at placement opportunities and student organizations active on campus. You shouldn’t have to wait until you graduate to get involved. Also remember that big firms tend to recruit graduates of the most prestigious programs, so keep an eye out for employment and networking opportunities for both students and graduates. 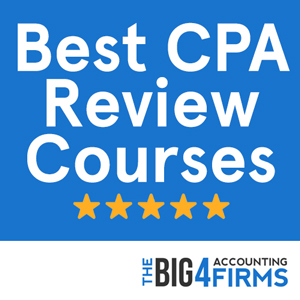 As a final piece of advice, remember that the more challenging and rigorous an accounting program, the more likely it is to prepare you for passing the difficult CPA exam and for succeeding in this demanding field. You can accomplish this through a four-year Bachelor’s degree, which is the minimum required to work as an accountant. However, if your goal is to become a CPA, you will need to satisfy additional educational requirements of 150 semester credits in order to qualify for taking the CPA exam. 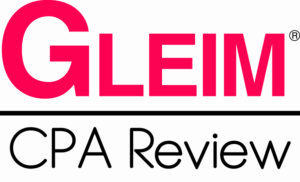 After you have passed all sections of this notoriously challenging examination, you will need to meet your state’s experience requirements and to complete and pass an ethics course before you can apply for your CPA license. As you prepare for the challenges of entering and succeeding in this demanding field, the importance of the accounting program you choose cannot be overstated. A good program will give you an edge not only in terms of academic knowledge, but also in the professional field, by providing you with the connections and experience that you will need as a graduate. As of May 14th, 2013, Utah requires candidates to complete 135 semester hours in order to be eligible for the CPA exam. These must include a graduate degree in accounting, taxation or a Master of Business Administration from an accredited institution, with at least 24 hours in upper division accounting courses or 15 hours in graduate level accounting courses (or an equivalent combination of the two). Alternatively, a baccalaureate degree in business or accounting is accepted if you have completed 30 additional hours at an accredited institution, including accounting and business courses. Finally, you may also hold a baccalaureate or graduate degree from a regionally accredited institution, with an additional number of credits in business and accounting courses. However, you must complete 150 semester hours, as well as pass all sections of the CPA exam before applying for a CPA license. Additional requirements include a minimum of one year of experience and passing two more exams: the AICPA Professional Ethics for CPAs Exam and the Utah Law and Rules Exam. With an annual average salary of approximately $69,000 in 2013 ($34 per hour) and a medium employment level, Utah accountants have good career opportunities. As an example, Brigham Young University graduates secure an average starting salary of $51,900. The entry-level salary can increase with up to 50% with experience and there are plenty of opportunities for accountants to secure high-paying positions within business operations of any size or at various government levels. Job satisfaction levels are high and a wide range of specializations are possible in this profession, while the difficulty of the CPA exam ensures that a CPA license remains a valuable asset on the job market. 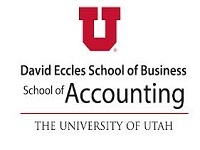 Ranked in the top 25 by the 2013 PAR annual survey at both the undergraduate and graduate level, the University of Utah’s David Eccles School of Business offers a competitive program for accounting students. Prospective accountants can pursue an undergraduate program, a Master of Accounting that can qualify students to sit for the CPA exam, and a PhD in Accounting. The faculty and the program are nationally recognized and accredited. One of the unique features of the School of Accounting at the University of Utah is its career-oriented program that combines accounting experience with innovative classes. Students benefit from opportunities to work with clients and volunteer their assistance in order to acquire experience at both the undergraduate and graduate level; moreover, Master’s students undertake a one-week course in professionalism and team building, including a one day project that they complete independently. The curriculum also includes a fraud and forensics class, where students can act as expert witnesses in real-world trials. Networking opportunities and an active student organization also enhance the employability of University of Utah students, who register a high pass rate on the CPA exam and an employment rate of 96% for Master’s graduates. Both academically and professionally, the Eccles School can give accounting students an edge in an ever-changing economy. The Marriott School of Management at Brigham Young University offers an AACBS-accredited, top ranked accounting program widely acclaimed for its intensive coursework and graduate success stories. The school’s undergraduate accounting program was rated first in the country in the 2013 Bloomberg Businessweek survey. Quality, innovation and career opportunities define the accounting department of this prestigious school, whose students and faculty have won an impressive list of awards over the years. The school offers an intensive 120-credit B.S. in accounting and a Master of Accountancy that allows students to pursue either a professional stem or a tax stem. Opportunities are also available for students to choose an accounting information systems track, to prepare for further graduate study through the PhD Prep track, or to earn a Juris Doctor degree at the same time as their Master’s degree. In 2012, Brigham Young University was ranked first among the best schools in the US in terms of CPA exam pass rates. Its courses are highly regarded for preparing students for the exam, as well as for the real-world challenges of being an accountant. When it comes to career opportunities, the Brigham Young University shines again through the active presence of a Beta Alpha Psi society that allows students to meet established accountants and their clients and to network with firms in the field. Accounting students also have the opportunity to stand out in university competitions judged by prominent businesspersons.